Rachel Na a California girl at heart; she loves nature, fun, and simple things. More than a decade ago, when faced with major challenges in her life, she lost her way. She spent time going deep within to reconnect with God. Although she had been taught that life was hard and you just have to struggle through it, she knew that this was not her fate. God answered her prayers, and the doors flew open. Rachel started to practice a new way; she traveled across the nation and found friends and tools. And then, six years ago, she learned the art of meditation, forgiveness, and prayer as a daily practice. She is passionate about realizing her dreams not only for herself, but also for family and friends worldwide. 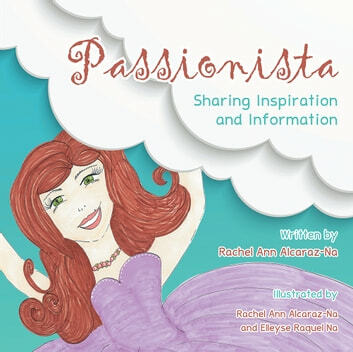 She shares her dreams in the form of her artwork and inspirations, along with her ten-year-old daughter, in this first book. She encourages others to practice being passionate and witness the miracles that magically unfold.